New Delhi: Dinesh Singh, a Congress MLC and an influential leader from Uttar Pradesh’s Raebareli — the Gandhi family’s pocket borough — has resigned from the party, a move seen as a major setback to the Congress. Sources told ThePrint that Singh, along with his relatives — who have been associated with the Congress for years — is likely to join the BJP soon. In a two-line press statement issued by Avadhesh Singh, Dinesh Singh’s brother, the family announced its resignation from the Congress Tuesday. With Singh stepping down, the Congress is left with just one member in the UP legislative council. Singh’s younger brother Rakesh Singh is a Congress MLA from the Harchandpur assembly seat. Another brother Avadhesh is the zila panchayat president of Raebareli. He is the lone zila panchayat president Congress has in the entire state. Dinesh Singh’s daughter-in-law is a block in-charge in Raebareli. “Panchvati (their ancestral palace in Raebareli) is not with Congress,” Dinesh Singh told ThePrint, speaking over the phone from Raebareli. “I will do a press conference tomorrow or the day after and then explain the reasons for the resignation,” he added. After their resignation, Dinesh and Rakesh Singh will lose their membership from the assembly and legislative council respectively. ThePrint had reported in August last year that the BJP was planning to poach Congress leaders in Raebareli. In fact, the BJP’s Raebareli district president Dilip Yadav had indicated that two Congress MLAs were in touch with senior leaders of the BJP and would join the party in the coming days. Political observers say it’s part of the BJP’s larger game plan to corner the Congress in its stronghold of Raebareli, the constituency of previous Congress president Sonia Gandhi. Being from Raebareli, the Singh family was considered close to the Gandhis. In 2016, Congress had only six members in the zila panchayat. Then Priyanka Gandhi had called Samajwadi Party leader Akhilesh Yadav for his support in the panchayat polls and that’s how Avadhesh Singh became zila panchayat president. However, everything was not hunky-dory for the Singh family. Dinesh Singh’s rivalry with Kishori Lal Sharma, Sonia Gandhi’s representative and Congress secretary in Raebareli, cost him dear — the Congress had suspended Dinesh Singh for anti-party activities in April last year although the suspension was revoked later. “In every post right from panchayat level to district level, our opponents are getting appointed and we are being cut to size. The people we recommend for a post are not even considered,” said Avadhesh Singh. 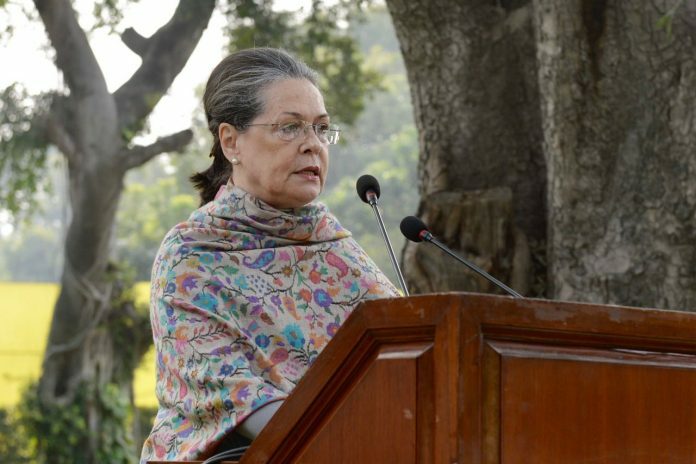 “We raised it before the Gandhi family but didn’t get any positive response. We are forced to take this hard decision,” he added. Raebareli has six assembly constituencies of which the BJP won three, the Congress two and SP won one seat in last year’s assembly polls. The number becomes significant for Congress, especially when the party has a total of just seven MLAs in the assembly. The BJP is already targeting Congress president Rahul Gandhi in Amethi and the party is campaigning hard to give him a tough fight in the 2019 Lok Sabha elections. On 4 April, the local BJP unit in Amethi sent 200 elderly party workers on a pilgrimage to Haridwar in five Luxury buses. This is an initiative by Union minister Smriti Irani to strengthen the party in the constituency in order to be battle ready for 2019. Irani herself will be on a two-day visit of Amethi on 13 and 14 April during which she will meet gram pradhans of the region. After Irani, Congress president Rahul Gandhi will visit Amethi on a two-day trip starting from 16 April.